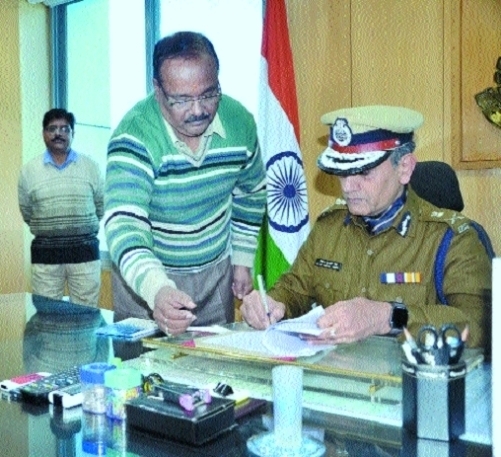 FEB 06 (WTN) – The newly appointed DGP of Madhya Pradesh Vijay Kumar Singh has taken over the charge as well as he is on his mission to make MP a safe and secure state for all the citizens. A 1984 batch IPS officer, VK Singh is known for his honesty and discipline. After being the DGP, VK Singh has many challenges which include conducting the peaceful Lok Sabha elections as well as the law and order situation in the state. He is an IPS officer who has seen all phases of policing. He has witnessed the socio-economic and demographic changes in Madhya Pradesh as well as the impact of the crime and the communal issues in the society. He is considered to be an officer of high values and ethics and draws a large number of admirers. Window to News spoke to Vijay Kumar SINGH when he was the DGP (Jail) on a wide range of issues like jail reforms, communalism, and correctional services in the state and police reforms. Here are some excerpts of his interview. Q. Please tell us about your journey to DGP from your early life. A. I have lived a major part of my life in Delhi. I completed both my school and college education from Delhi. From the very beginning I was quite clear about joining Civil Services. I always wanted to be a police officer and IPS was my preferred choice. After the completion of my training, I was allotted Madhya Pradesh cadre. I have always tried to give my best to the Indian Police Services that for me represents high values and valor. Q. The Madhya Pradesh police is witnessing a massive change in its working due to up gradation of technology. What more needs to be done? A. We have to keep up with advances in technology and doing so makes us more efficient. Here consider the example of Jails that are part of the criminal justice system. Police is the first respondent, followed by prosecution and finally correctional services i.e. jails. All systems need to ensure up-gradation of technology and its compatibility. There needs to be integration in the entire criminal justice system. That is one reason we have to keep up with technology. We have e-prisons in jails where technology is being used to manage prison affairs. It basically consists of two parts – the Prisoners Management System (PMS) and the Visitors Management System (VMS). In the Prisoners Management System all details about the prisoners are maintained. It includes the details of prisoners, what their crimes, their qualifications and information about how they can be reformed into good citizens so that they can be rehabilitated once they go back into the society. We also keep a record of their tendencies regarding committing crime, the sentence served, their visitors etc. All gamut of possibilities are stored in PMS. So after a prisoner is released post his/her sentence and is caught again for committing a crime and brought to prison, his/her record is still present. A permanent number is given to that prisoner which is put in his health details as well. If the prisoner has a tendency of prison break, running away, indiscipline, misbehavior etc; all records are kept and maintained. We also ensure that record is kept in the Visitors Management System of the people he/she meets, as a prisoner is entitled to meet certain people at certain intervals of time. A list of these people along with their phone numbers is maintained. A computerized record of amount of money earned while doing work of their choice inside the jail is also maintained. Q. Share one of the incidents that as a police officer was challenging for you? A. The work of Police is all about challenges. We are well aware that the society is in transition. The society at present is not homogeneous and is not highly evolved or uniformly educated. So there are numerous problems due to differences in the society we represent. I have been posted at various places where I have witnessed numerous problems of high magnitude and different dimensions. For example consider Shivpuri and Gwalior where we have problems of dacoits and on the other hand I was posted in Bastar where the problem of naxalites rules and is a big obstacle in the smooth functioning of law and order. I have also seen some serious communal tensions when I was posted at Ujjain as Superintendent of Police. There have been few challenging cases during my tenures at various places. In Bastar we apprehended a person who was running a safe house and he had a link between naxalites and highly placed people of the society. When accused came in the police net he promised us that he will lead us to the wanted criminals. However, there was a serious risk involved. He wanted the police to let him go for some time and that was a big risk as he himself was a big catch. So we decided to let him go under some surveillance but he disappeared. By stroke of luck we were able to get hold of him again. That was an interesting incident. And then there are very successful stories about detection of blind murders. In one such incident an entire family in Ujjain was murdered. We just had a gory site of five bodies left in two or three gunny bags. There was some ash and some fluid on the spot and we as a police team were trying to figure out who these people were, where they were from, how and by whom the crime was committed, and everything was resolved within 24 hours. 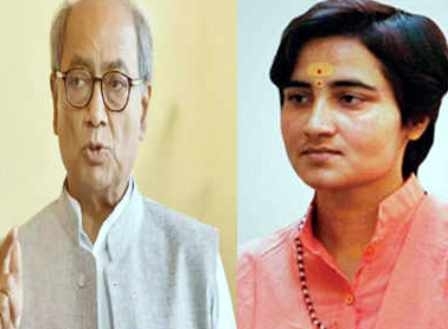 Q. Madhya Pradesh is becoming a safe haven for terrorists and especially SIMI activists. Do you agree with these reports and what is your opinion? A. You have asked a question whose answer would be totally my personal opinion as at present I am not dealing with that department and serving with the Jail department. The presence of SIMI related elements has been there in Madhya Pradesh in places like Ujjain, the Malwa belt, Jabalpur and its surrounding areas like Seoni. Madhya Pradesh police has done exceedingly well in containing the SIMI problem. It’s a nationwide problem, much bigger for local police to solve though it is contained well in Madhya Pradesh. We have some SIMI activists in our jails. While some are convicted others are under trial. Since it is risky to take them out, their court appearances are managed through video conferencing and we are at the threshold of starting video conferencing between the court and jails for other cases as well. Q. Do you think jails in Madhya Pradesh are in deplorable condition? A. We have about 123 jails across Madhya Pradesh; there are 11 Central Jails, about 75 Sub Jails and about 40 District Jails. Some of the jails are from the British times. Being so old they were in dilapidated condition. Moreover there is also the problem of overcrowding. Some years ago jails were operating at more than 40 per cent of their capacity. Since year 1989 the construction and building of new jails has been taken up and now number of jails and the number of barracks have increased significantly and we are in a position to cope with the increasing number of inmates. Yet at present the jails are still over crowded by more than 30 per cent. But in the coming few months this problem will certainly ease out. We are trying to replace old buildings with the new ones and to provide better security and improved conditions in jails. I believe that food, hygiene and medical facilities should be good; the jail inmates should be able to appear in courts so that they don’t lose time. Involvement of NGOs is also helping improve the atmosphere in the jails. Q. What reforms you have brought under your tenure as DGP Jail of the State? A. Taking away someone’s freedom is the worst punishment. Given this fact we have to work hard for his or her reformation. We have to make jail inmates live in peace, in good and hygienic conditions, provide them with work and decent medical facilities. We are able to provide all these basic amenities and if someone were to rate us on these criteria, our state will not be found wanting. We are among the best states as far as the jail upkeep and conditions are concerned. I have seen big jails in Maharashtra as also the massive Tihar Jail. We have visitor officers from other States who also compare jails and rate us high. I think we are doing extremely well. Khandwa jail for example was not in a very good condition. An incident happened where six SIMI inmates were able to escape through a jailbreak. We have rebuilt that part of the jail and have secured it. We now have sufficient number of doctors. Although process is still on to get more doctors on permanent basis. There is a doctor in each jail. In bigger jails we have resident doctors and nurses. We have provided ambulance to all the jails as well. There is an incoming call facility in jails that can be used by a relative to make calls to jail inmates. I have doubled the number of calls and timing apart from doubling the visits paid to visitors. We are also providing skill development so that jail inmates can learn and are better occupied when they go out. Q. It is said that policemen have to face harsh times as far as their working timings are considered. What is your opinion and what can be done to improve this? A. The period of lack of policemen and insufficient police force is now almost over and the scenario is not same as before. We have recently recruited about thousand men and also good enough number of officers. Technology is also being used as a force multiplier. Work timings need to be improved surely. Q. What is your opinion about implementing police commissioner system in Madhya Pradesh? A. I think it’s a modern concept. There has been a lot of thought about how to improve the quality of policing because our police was colonial legacy. Commissioner system is a system that has evolved with time. States who have adopted it have never looked back. All the states that adopted it in one city later implemented it in other cities too. So it’s a perfect example of modern time requirements and modern policing. And policing is not only about regulation but also about providing services to the people and police commissioner system is all about that. Q. What changes are required to make police force more active and efficient? A. Police comes from the society so we have very diverse policemen from different strata. Someone can be from a tribal background, while someone from a rural area, so adjusting in urban areas is a big challenge and requires special training. Apart from this, the mind set of society also needs to change to have better policing and better apparatus and yes obviously policemen need to get better trained on a regular basis to make them more humanistic and more sympathetic towards people. Police is expected to behave in a different way towards a hardened criminal, for example, while dealing with a terrorist you have to be very aggressive to prevent him from fulfilling his designs, and on other hand you have to be very sympathetic towards a woman who is in distress and needs to be rescued. Again, one needs to behave differently while helping a child who is lost or while dealing with elderly persons. So the police has to perform on various dimensions. Policemen have to deal with so many cross-sections of society, so they have to be trained well, they have to be monitored well and they need to understand what is required of them. The most important fact is that policemen have to be efficient service providers to the society. The services to be provided are prevention and detection of crime and making people feel safe and secure. Q. What message would you life to give to budding police officers? A. I would like to say that the upcoming officers must be smart, efficient professionals with good understanding of law. They must understand the requirements of people to whom they have to provide the service. They should be able to behave with people as per the need and must know how to operate and manage weapons. In short they have to be smart professionals ready to upgrade themselves according to the needs of the job. Q. You are a staunch supporter of Yoga and positive thinking. Please share your views? A. Everybody should be physically fit and mentally happy and should be able to integrate their professional and personal lives. We have one life and we must put all its aspects to good use. Being a police officer, I think it is necessary to be physically fit and mentally relaxed. Yoga, I believe is the answer to everything. I would say that everyone one must indulge in some sporting activity, some recreation and look after one self. Q. How do you de-stress from your hectic life style? A. I read inspirational and motivating books and also include physical activities like yoga or any sport or any other physical activity in my routine for 1 or 2 hours to keep myself de-stressed. I watch television and lot of sports. I like travelling and since my work involves travelling a lot and meeting new people, I am happy doing my work which also de-stresses me. Q. Who is your role model and which book inspires you the most? A. My parents, friends and some officers in service have always inspired me. One of my favorite books is “Essays on Bhagwad Gita” by Sri Aurobindo. It is an excellent interpretation of the Gita.